Nintendo's mobile efforts are paying off, after the gaming company confirmed better than expected revenue from "Super Mario Run" on iOS, but advised gamers will have to wait a few months before they can play "Animal Crossing" on an iPhone or iPad. Results released by the firm today claim "Super Mario Run" earned Nintendo more than 6 billion yen ($53 million) since its launch, with over 78 million downloads. The number of players paying the $10 fee to unlock most of the game's content is said by Nintendo to be more than five percent, far higher than figures estimated by analysts. The Wall Street Journal reports Nintendo Chief Executive Tatsumi Kimishima as dissatisfied with the result, as the company had in fact aimed for a double-digit conversion rate. Even so, exceeding five percent with a relatively high in-app purchase value is considered a success by one analyst. Serkan Toto, a mobile game consultant based in Tokyo, advised "for a game that charges this much, the performance is pretty amazing," with games that charge a few dollars or less for in-game items typically only seeing payments from around 3% of players. It remains to be seen if Nintendo will see its target double-digit conversion rate in "Super Mario Run" as the Android release of the game will be taking place in March, three months after it arrived on iOS. Gamers looking forward to playing another mobile conversion of a well-loved Nintendo console game are going to have to wait longer. 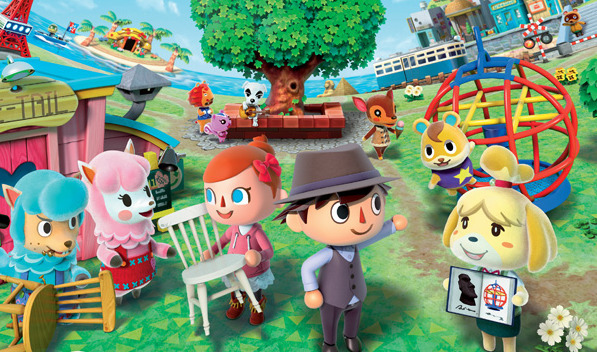 "Animal Crossing" was originally set to launch in the App Store in March, but Nintendo's financial results state it will instead be "released during the next financial year," pushing the game back to April at the earliest. Nintendo advises the change in date is to help "accommodate the releases and operation" of two other mobile titles. Aside from "Super Mario Run" on Android in March, Nintendo is preparing to release "Fire Emblem: Heroes" on February 2 on both iOS and Android. Part of an existing franchise, "Fire Emblem: Heroes" is a tactical role-playing collectible character game where players fight for control of a kingdom. Using an 8-by-6 grid for battles, players summon heroes to the field and issue commands, in an attempt to defeat the opposing army. Unlike "Super Mario Run," "Fire Emblem: Heroes" will be using a more traditional revenue model of in-app purchases for in-game orbs, which can be used for advantages during battles. Overall, the company earned a net profit of 64.7 billion yen ($570 million), double the net profit for the same time last year, but with revenue down 21 percent year-on-year to 174 billion yen ($1.5 billion).